There are so many amazing fall crafts for kids! So many apple crafts to make with my kids! All the awesome pumpkin art kids love! And of course, we love sharing the Pumpkin Gospel with our kids! It seems there’s a never-ending amount of fun fall activities for families. This year, I made a list of our family’s favorite fall harvest crafts for kids, including all the awesome fall activities for families. And it’s all right here for you to use too! Now there’s no need to go crazy and do all of these awesome fall crafts for kids and fall family activities (yeah… there’s no way we’re doing them all either). But isn’t it nice to have a master list of easy fall family crafts for kids to choose from? Just pick a handful of these awesome fall arts and crafts for kids and your family is sure to make some awesome new memories this fall season! Our family does not celebrate Halloween, but we still love to carve pumpkins. In fact, we make pumpkin carving a time to share with our kids about God’s love! We walk them through a 4 step process (known as the “Pumpkin Prayer“) to explain in visual terms how choosing, a carving and decorating pumpkin is like how God chooses us as His children and then uses us to shine His light in the world. It’s a really great fall craft for kids because it makes God’s truth come to life in a new way for children. Want to share the Pumpkin Prayer with your kids too? Awesome! 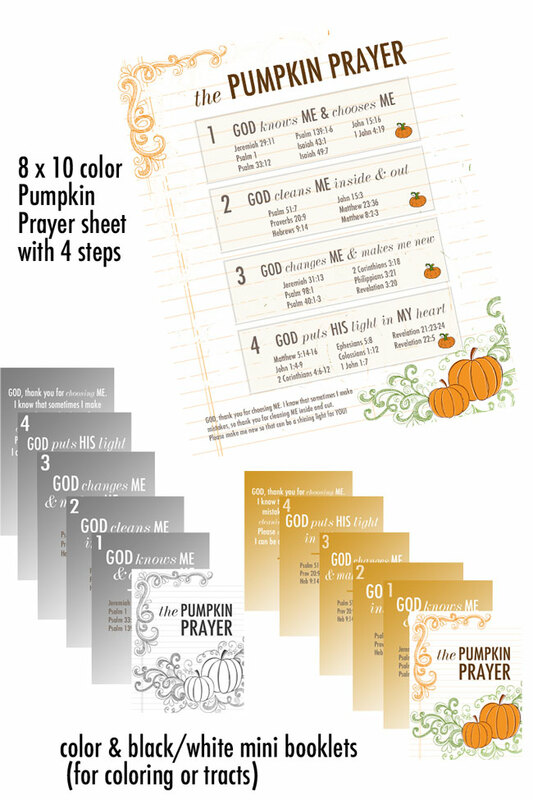 I created a Pumpkin Prayer Printable resource (with full-color pages and black and white pages perfect for coloring) that easily shows parents what to say with their kids while carving pumpkins. Click here to get your copy of this AMAZING fall resource for Christian families! 1) Enjoy making an Owl Wreath with the cute fall nature craft from Country Living. 2) Or discover How to Paint Acorns from Home Stories A to Z (kids love this)! 3) Here’s a kids fall nature craft favorite: Make Homemade Pinecone Bird Feeders! Freebie Finding Mom’s instructions are here. 4) Happiness Is Homemade has another great Pinecone Birdfeeder at this link. 5) Or check out these Autumn Bird Feeders from Sustainablog that are made from milk cartons (adorable)! 6) I love this Candy Corn Button Art from Repeat Crafter Me. 7) What a cool idea from Tiny Rotten Peanuts: Make a mosaic art piece using beans! Cute! 8) This Paper Plate Owl from Huppie Mama is simply adorable. 9) Now this is creative: A fall wind chime out of all those acorns and cool rocks from The Benson Street. 10) I love this Q-Tip Fall Tree from Mess for Less because I’m pretty sure that I’ll almost always have the art supplies for this craft on hand! 11) These Bark Owls from Fireflies and Mud Pies look pretty impressive! Wow! 12) Dirt and Boogers has a really simple way to create leaf art: Using cookie cutters! Genius! 13) Here’s a craft that combines cooking and art: DIY Cookie Leaf Wreath Project from Country Living. 14) They made some amazing art out of leaves at this Leaf Crafts post from Country Living. Love! 15) Oh, how I love this Real Leaf Project art piece from Just a Girl Blog! 16) These Embroidery Hoop Suncatchers from Buzzmills are a fun way to showcase leaves. 17) These Fall Leaf Art Prints from Meaningful Mama are a unique way to combine paint and fallen leaves. 18) Leaf rubbing is a classic fall activity. But I love how Filth Wizardry has her kids rub leaves on a long mural! 19) I dig this DIY Autumn Leaf Bowl from Hello Lucky! Whoa! 20) Use shaving cream to create leaves with a cool marbled effect with this tutorial from Teaching with TLC. 21) Salt Dough Leaf Prints from That Artist Woman! Why didn’t I think of this great fall project? 22) This Fall Leaf Printing art project from 123 Homeschool 4 Me uses markers and fall leaves to create unique art. 23) I am a sucker for fall banners… and I’m sold on the idea of this Book and Leaf Garland Banner from Simple as That. 24) Speaking of banners… the kids and I made a super fun Fall Leaf Animal Banner from found items from a nature walk. We made animals out of the acorns and leaves! Check it out here. 25) What a fun 3-D leaf craft project: A Paper Bag Fall Tree from Pikadilly Charm! 26) I just want to be in the room when my kids are playing with this Sensory Play Applesauce Dough from Still Playing School! The smell must be heavenly! Sign me up for this apple fall craft! 27) Apple picking is always one of my favorite fun fall family activities! Premeditated Leftovers shares her tips here. 28) After your apple picking, come home and make Creative Homekeeper’s Oh-So-Easy Apple Chips. Yum! 29)… or this fantastic (and healthy!) Pecan, Chicken and Green Apple Salad from Num’s the Word. What a great fall apple recipe! 30) And don’t miss my super awesome Crock Pot Oatmeal with Apples. My kids (and my husband) lick the bowl clean when we serve this fall apple recipe. Seriously! 31) Creative Savings Blog shares a fall classic comfort food (and my husband’s favorite fall apple dessert): Apple Crisp! 32) The Kitchn gives us the how-to on Glazed Apple Fritters. Oh my word… say no more. 33) Take a mom break and drink your Carmel Apple Cider from O Taste and See while watching the kids play in the leaves outside. 34) What a fun Apple Print Wreath from No Time for Flashcards! This is the perfect easy fall apple craft for kids! 35) This Secrets of the Apple Tree book is an exciting new way for kids to learn about apples and celebrate fall. That’s because hidden pictures appear when kids shine a light behind the pages in this book! 36) Here’s a simple but fun pumpkin art craft from Hanging by a Silver Lining made out of craft sticks! 37) Pumpkins hanging from the ceiling? But of course with these Paper Pumpkin Ornaments from Hostess with the Mostess. 38) And come on… I can’t stand the cuteness of these Easy Pumpkin Krispies Treats from Yummy Healthy Easy! 39) Oh how adorable these pumpkins are… and they’re made of toilet paper rolls! A great idea from Living Chic on the Cheap! 40) Love these Tangled Pumpkin Ornaments from I Can Teach My Child! A fun use of glue and yarn! 41) Ooooh… Melted Crayon Pumpkins! My kids would really go for this activity from Crafty Morning! 42) You gals know I’m all about the Dollar Store… Debbie-Coos shares some adorable pumpkin crafts made from Dollar Store items. 43) We made these Paleo Pumpkin Muffins with Ginger and Orange last weekend and they were to-die-for! You’ve got to check out this scrumptious dairy, gluten and grain-free recipe! 44) Ohhhh… pumpkin cheesecake is one of my favorite fall desserts ever! This recipe from Natasha’s Kitchen is making me drool. 45) Or maybe we’ll make these Pumpkin-Oat Chocolate Chip Cookies from Cooking Classy. Oh my. 46) I recently discovered an awesome way to create Paleo-friendly coffee creamer. And the pumpkin spice creamer (one of 4 Paleo Fall Creamer Recipes) is my favorite this time of year! You’ve got to check out these dairy-free and gluten-free coffee creamers! 47) And of course, make the most of your family’s carving pumpkins tradition by sharing the Pumpkin Gospel! This adorable set of printables (that you can either make into a booklet, a mini coloring book, a banner and more) tells your kids about God’s great salvation plan while they’re carving a pumpkin. 48) This Fall Button Tree from Hands On As We Grow is a perfect quiet time activity for preschoolers. 49) Here’s another great quiet activity for little ones: pressing leaves into Play Dough (from Learn Play Imagine). 50) This Apple Coffee Filter craft from Gift of Curiosity looks super fun for the young elementary set. 51) Check out this apple-themed Alphabet Handprint Art from Mommy Minutes! Handprint art is always a hit with kids (and if you’re especially inspired, she’s got the whole alphabet here!). 52) This was an amazingly simple (and fun!) preschool project my son and I did last week. We made a Fall Leaf Wreath, and we learned about shapes and colors while making it! I loved it so much it’s now part of our fall decor! 53) The Educators Spin On It has a great day-by-day schedule of fall activities for toddlers! Check it out! 54) Love these 30 Free Fall-Themed Journal prompts for September from Life Over C’s! 55) There are lots of learning ideas found in these Fall Math & Literacy Lessons for Kindergarten pages found at Teachers Pay Teachers. 56) Whoa! This Fall Math and Literacy Packet from The Moffatt Girls is packed with printable goodness! 59) My preschooler loves his Playdough mats! And these ones from Totschooling are fall themed! 61) I’m totally going to plan an outdoor date night with my hubby after reading these Easy Fall Picnic Ideas from Design, Dining + Diapers. 62) Create your own fall-themed decor–for free! Discover how easy it is to create Seasonal Picture Frames here in one of my a9l-time most popular posts! P.S. The post includes links to 30 free fall printables! 63) Why not plan a nature walk every day for a week and focus on a new theme each day? Nurture Store shares how to do it here. 64) This simple Fall Leaf Wreath from Crafts for All Seasons would be great to put together after a nature walk. 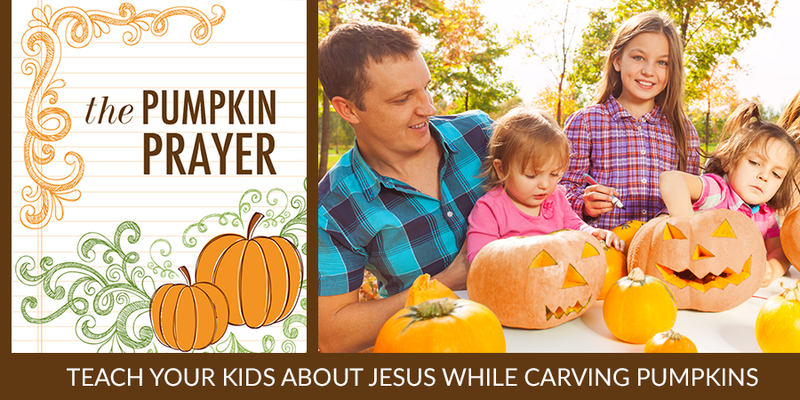 And of course, don’t forget our family’s favorite way to share about Jesus while carving pumpkins! It’s an awesome way to share the Gospel with kids, and these printables make it super easy (and fun)!